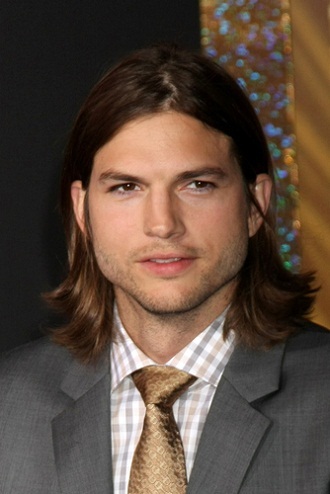 Ashton Kutcher is an American actor, model, producer, and investor. He is famous for his role on the television series That ’70s Show. Ashton is married to actress Mila Kunis, with whom he has two children. Ashton’s father is of Bohemian Czech descent. Ashton’s mother is of half Irish, one quarter German (including Swiss-German), and one quarter Bohemian (Czech), ancestry. Ashton is a practicing follower of Kabbalah, the Jewish religious mysticism. His wife Mila has said of him, “Ashton when we started dating, [was] very religious, very religious, very Jewish,” though he has not formally converted to Judaism. Ashton’s paternal grandfather was Earl F. Kutcher (the son of Michael John “Mike” Kutcher and Alice Beth Sedlacek). Earl was born in Iowa. Michael was born in Iowa, the son of Czech parents, Jan “John” Kučera and Anna Lenoč/Lenoch. The surname Kucera was later changed to Kutcher. Alice was also born in Iowa, the daughter of František “Frank” Sedláček and Anna Novotny, who were also Czech. Ashton’s paternal grandmother was Adeline Mary Fisher (the daughter of Frank Fisher and Frances “Fannie” Drtina). Adeline was born in Iowa, and was also of Bohemian (Czech) descent. Frank was the son of Joseph Fisher and Anne Drtina. Ashton’s maternal grandfather was Vincent Raymond Finnegan (the son of John Edward Finnegan, Sr. and Ellen Lenaghan). Vincent was born in Keokuk County, Iowa. John was from Lisnagore, County Monaghan, Ireland, the son of Michael Finnegan and Anne Mary Maguire. Ellen was also Irish, born in Lisnagore, Killeevan, Newbliss, County Monaghan, the daughter of Terence Lenaghan and Bridget Connolly. Ashton’s maternal grandmother is Rose Marie Koenighain (the daughter of Donald Jacob Koenighain and Leona Alice Kutcher). Rose was born in Iowa. Donald’s parents, Mathias Koenighain and Ida Mae Brent/Brant, were both of German descent. Their families had lived in the United States (including specifically Pennsylvania) for many generations, and some of their ancestry was Swiss-German. Leona was the daughter of Czech parents, Michael John Kutcher and Alice Beth Sedlacek. Ashton’s paternal grandfather, Earl F. Kutcher, was the brother of Ashton’s maternal great-grandmother, Leona Alice Kutcher. Thus, Ashton’s parents are first cousins, once removed. He looks a typical Slavic person.